This project that will greatly enhance our knowledge of the most poorly understood component of Ecuador’s amphibian fauna, caecilians. Caecilians are legless, mostly burrowing amphibians that are found in tropical regions worldwide. There are ten living families, of which four have representatives in Ecuador (Caeciliidae, Rhinatrematidae, Siphonopidae, and Typhlonectidae). For most species, next to nothing is known about their biology including conservation-vital information related to ecology, reproductive mode, diet, and geographic distribution. Because of this many of these species are considered Data Deficient by the International Union for Conservation of Nature (IUCN). These Data Deficient species are known from very few historical records, often from a single locality, and as such are urgently in need of assessment in order to identify their ecological requirements and conservation strategies that will best ensure their survival. 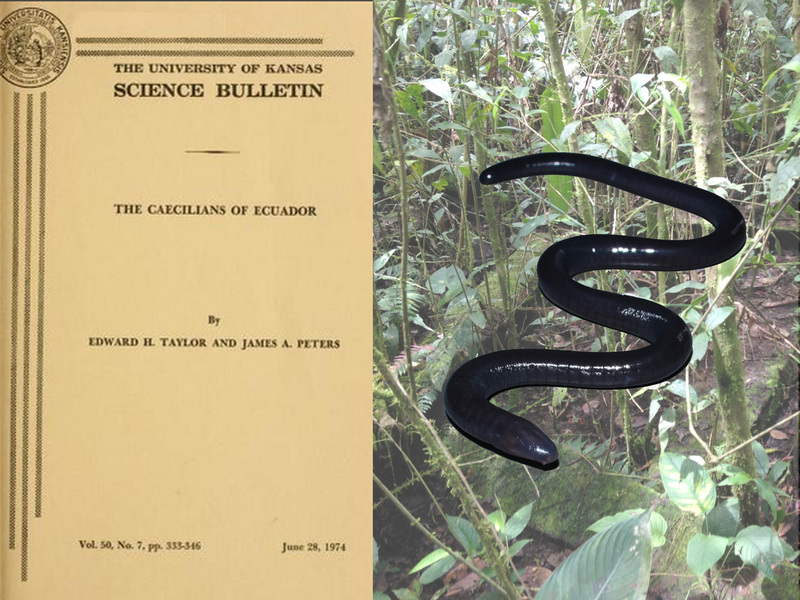 We are an international research team (consisting of scientists from Ecuador and the United Kingdom) that are conducting a series of expeditions that aim to: (1) address several longstanding (yet still unresolved) issues related to the taxonomy and distribution of Data Deficient caecilian species with a view to removing them from this categorization and (2) substantially enhance in-country capacity for caecilian research and conservation and monitoring of these at-risk amphibians. We will accomplish these goals by surveying type localities of poorly known species and teaching classes to Ecuadorian biologists, park rangers, and students.